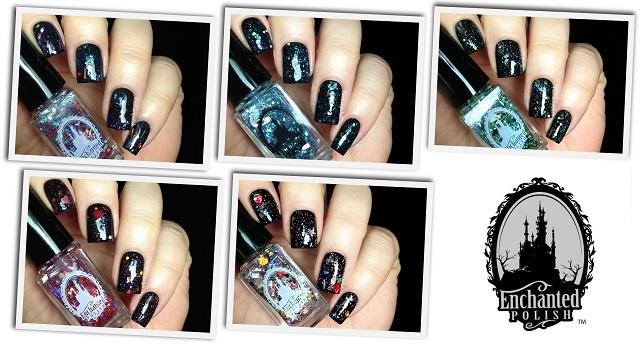 Today I have swatches of the Enchanted Polish Love A Lot of Glitter to share with you! 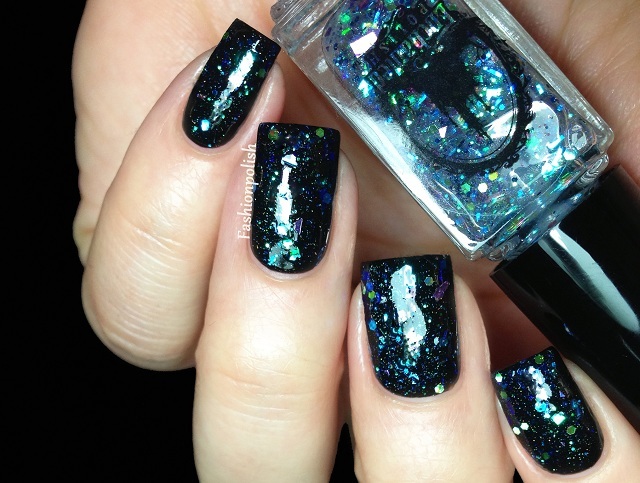 Daydream Surprise : mix of shimmer, hex, bar glitters and mylar-like shreds in a clear base, mainly blue, red, green and gold. One coat plus topcoat over black. 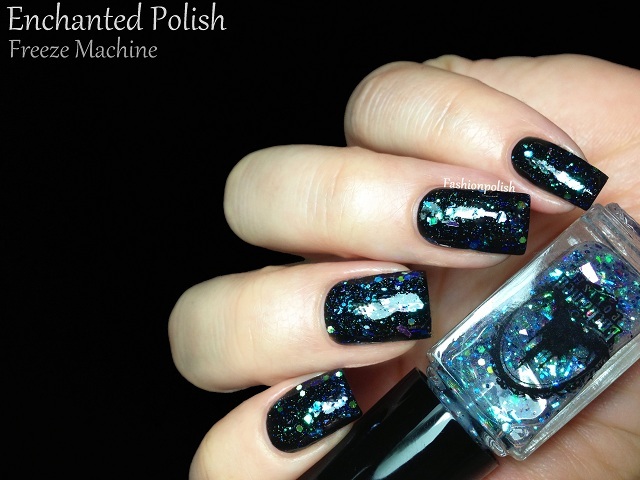 Freeze Machine : complex mix of small shimmer and glitter particles as well as a few larger shred pieces. This one flashes mainly blue, green and a bit of gold . Also one coat over black plus topcoat. 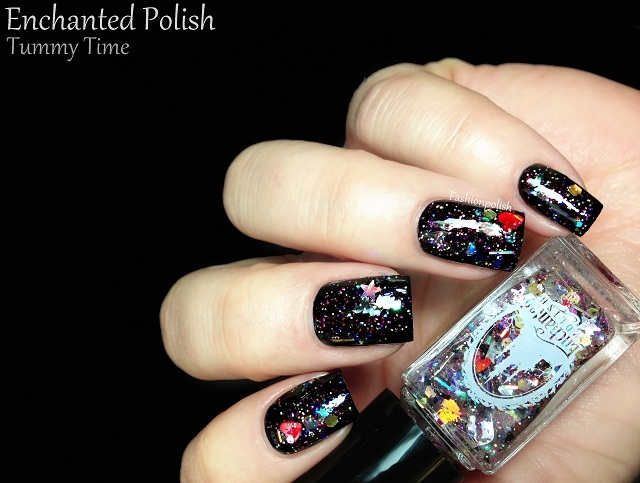 Tenderheart : mix of shimmers and hex glitters combined with color changing hearts and holo diamonds, mainly red, pink, orange and gold but also hints of blue. One coat plus topcoat over black. Tummy Time : explosion of hexes, bars, holo stars, color changing hearts and black shreds combined with smaller glitter particles. Again, one coat plus topcoat over black. Wish Me Good Luck : medium green, gold and blue hexes as well as black bars / big squares. One coat plus topcoat over black as well. I am not exaggerating when I'm saying these are glitter bombs! They litterally felt like little fireworks on my nails. 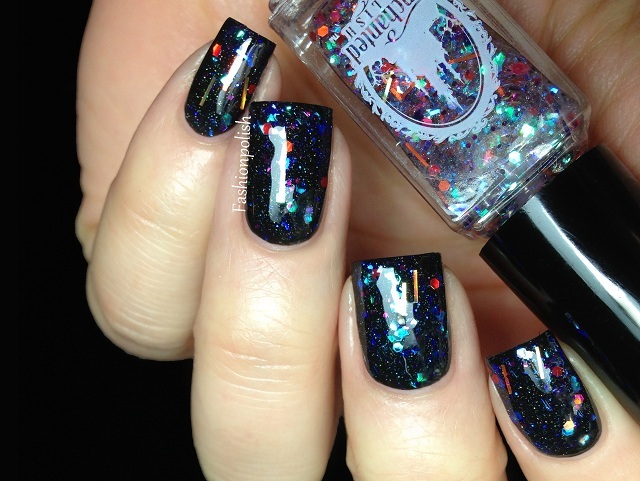 Have you ever seen or applied a glitter and thought that it had been made with high quality ingredients? This is exactly how I felt! Tey are all so dense and sparkly, it's insane. Stocks are usually very limited and sell out very fast so grab yours while you can! I believe they are sold out so it's best to keep an eye on social media for restock times! I love all of these! Daydream Surprise is my favorite, I think, but all are so pretty! It's definitely one of my faves too! OMG!!! They are all so pretty! 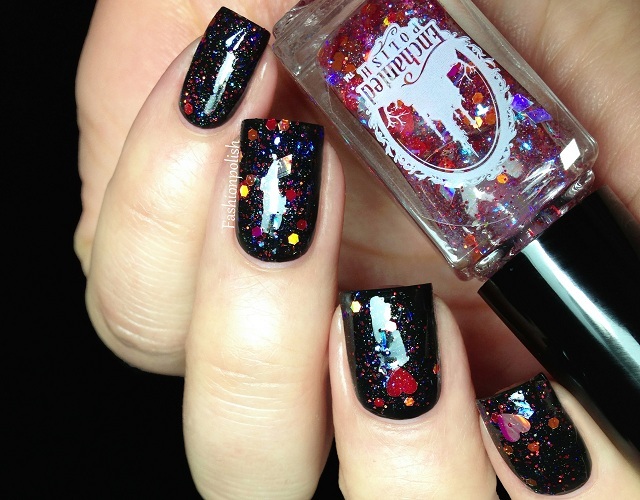 Love the background color and the different glitters used. You def have the talent of choosing pretty polishes. Love it! I think my favorite is Freeze Machine, but they're all so gorgeous! Wow they are cuteeee! Especially on the black base. 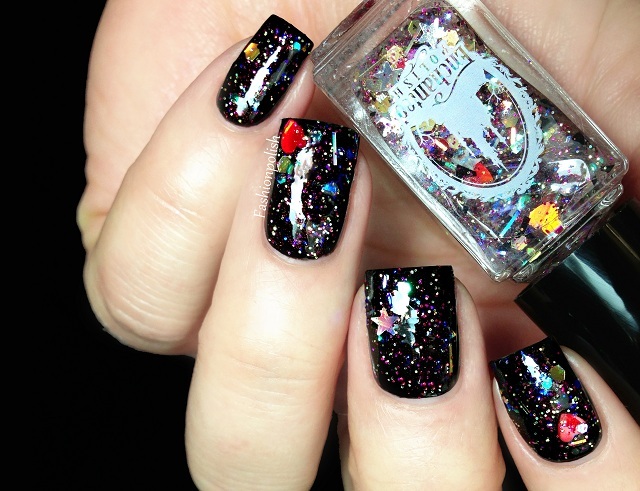 Tenderheart is my fav, but they're all so beautiful, it's like joy-on-nails! These swatches make me excited! I love them! I like daydream surprise the best! The best about these polishes are the bottles though, I find them so extremely cute!! All very pretty! I loved Freeze Machine and Wish Me Good Luck! Maria Helena - São Paulo - Brasil.